Veteran publicist Cheryl Boone Isaacs, the first African American to serve as President of the Academy of Motion Picture Arts and Sciences, followed the path of her pioneering sibling as a top-tier executive in the Hollywood motion picture industry. Ashley A. Boone Jr. (1939-1994), her brother, had been the most distinguished African American working at several studios, capping his career in 1979 as president for distribution and marketing at 20th Century Fox. Born in Springfield, Massachusetts into a middle class family of four children, Isaacs’ parents stressed academic achievement. Her youthful ambition to become a musical comedy star was discouraged. She graduated from Classical High School in 1967 then moved to California and earned her political science degree in 1971 at Whittier College. Isaacs entered the film industry in 1977 as a staff publicist at Columbia Pictures working on the movie Close Encounters of the Third Kind. In the 1980s she promoted movies at Melvin Simon Productions directing campaigns for My Bodyguard, The Stuntman, and Love at First Sight; The Ladd Company where she worked on The Right Stuff, Once Upon a Time in America, and Police Academy; and Paramount Pictures where she rose to executive vice president for worldwide publicity. At Paramount in the 1990s she promoted Ghost, Forrest Gump, and Braveheart, among others. Isaacs joined New Line Cinema in 1997 as president of theatrical marketing, thus becoming the first black woman to head a major studio’s marketing operation, encompassing media buying, publicity, advertising, market research, and product placement. Projects at New Line included Austin Powers: The Spy Who Shagged Me and Rush Hour. Leaving New Line in 1999, she shifted to consulting via her strategic marketing firm CBI Enterprises Inc., working on critically-acclaimed films and box office hits like Spiderman 2, The Artist, Precious, The King’s Speech, and the documentary Tupac: Resurrection. Isaacs lent her talents to the Academy of Motion Picture Arts and Sciences (AMPAS), serving on its 48-member board of governors starting in 1988. AMPAS, with a membership composed of nearly 6,000 industry professionals and craftsmen, is widely known for its televised annual Academy Awards ceremony at which “Oscars” are given for cinematic excellence. In 2002, while representing the public relations branch on the board, she began coordinating several Governors Balls where she was responsible for planning the event’s entertainment, décor, and menu. 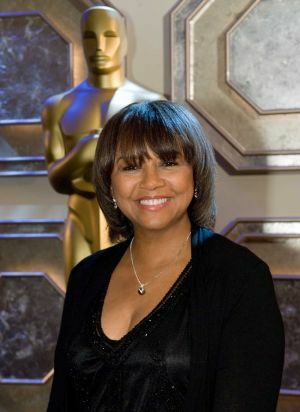 Isaacs was serving as the board’s vice president when she was elected for a one-year term as president of AMPAS on July 30, 2013, thus becoming only the third woman and the first African American to hold that position in the 86-year history of the academy. As its 35th president, she indicated her immediate priorities were facilitating member participation, insuring a successful Academy Awards ceremony, and managing the development of a multi-million dollar film museum. Isaacs, her husband, movie producer Stanley Isaacs, and son, Cooper, live in the Wilshire/Hancock Park area of Los Angeles, south of Hollywood. Mollie Gregory, Women Who Run the Show: How a Brilliant and Creative New Generation of Women Stormed Hollywood (New York: St. Martin’s Press, 2003); Who’s Who in America (New Providence, NJ: Marquis Who’s Who, 2009); http://www.masslive.com/entertainment/index.ssf/2013/07/springfields_cheryl_boone_isaa.html.